For those uninitiated to FPGA design, this course helps in designing an FPGA design,.create an FPGA designwhich includes creating a Vivado Design Suite project with source files,.simulating the design, performing pin assignments, applying basic timing constraints, synthesizing,.implementing, and debugging the design. Finally, the process for generating and downloading bitstream on a demo board is also covered. Intro to FPGA Architecture, 3D IC, SoC – Overview of FPGA architecture, SSI technology, and SoC device architecture. UltraFast Design Methodology Introduction 1 – Introduces the methodology guidelines covered in this course. Introduction to the Vivado Design Flows – Introduces the Vivado design flows: the project flow and non-project batch flow. Vivado Design Suite Project-Based Flow.– Create a project, add files to the project, explore the Vivado IDE, and simulate the design. Introduction to Digital Coding Guidelines – Covers basic digital coding guidelines used in an FPGA design. Synthesis and Implementation – Make timing constraints according to the design scenario and synthesize and implement the design. Optionally, generate and download the bitstream to the demo board. Timing Constraint Wizard – Use the Timing Constraint Wizard to apply missing timing constraints in a design. Timing Constraint Editor – Introduces the timing constraints editor tool to create timing constraints. Introduction to Vivado Timing Reports – Generate and use Vivado timing reports to analyze failed timing paths. 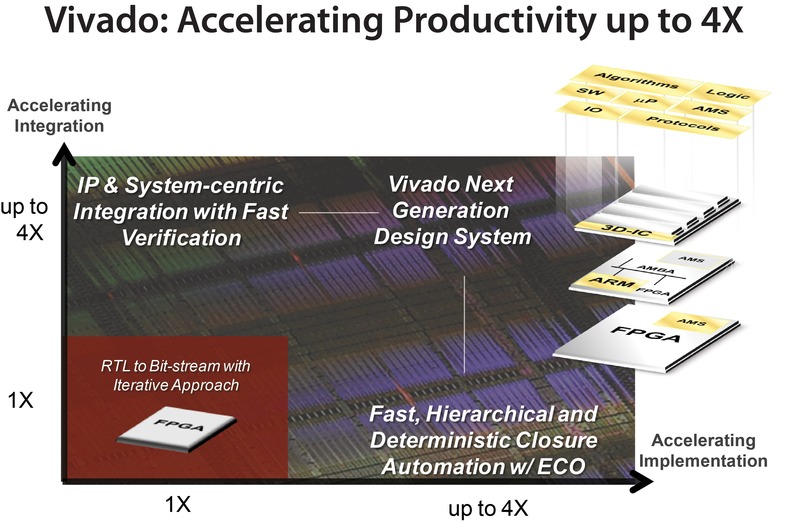 Vivado IP Flow – How to customize IP, instantiate IP, and verify the hierarchy of your design IP. Xilinx Power Estimator Spreadsheet. – Estimate the amount of resources and default activity rates for a design and evaluate the estimated power calculated by XPE. HDL Instantiation Flow. – Covers the HDL instantiation flow to create and instantiate a VIO core and.observe its behavior using the Vivado logic analyzer. Introduction to Triggering. – Introduces the trigger capabilities of the Vivado logic analyzer. Netlist Insertion Flow. – Use the Netlist Insertion flow to insert ILA cores into an existing synthesized netlist and debug a common problem. Debug Hub (dbg_hub) Core – Understand how the debug hub core is used to connect debug cores in a design. Introduction to Tcl – Introduces Tcl (tool command language). Using Tcl Commands in a Vivado Design Suite Project Flow.– Explains what Tcl commands are executed in a Vivado Design Suite project flow.